Fly with Emily for a powerful, challenging, and sweaty ride. 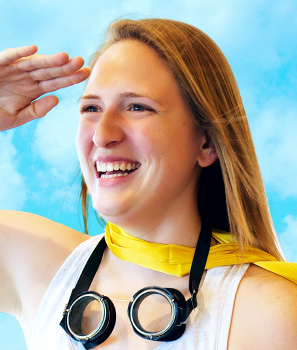 Her encouragement and upbeat music will help you take FLYGHT, conquer new heights, and feel invincible. Come as you are and let's fly together. Speed Walking... Not quite sure how I discovered the talent! N'SYNC- Like a true 90's kid! FLYGHT isn't about being better than someone else. It's about being better than you used to be.